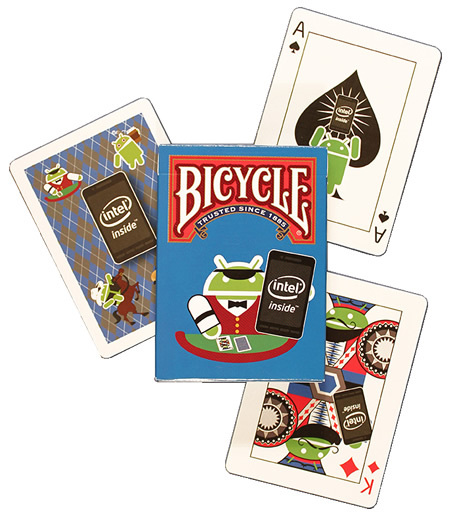 Now you can get Custom-Printed Playing Cards produced on premium, linen finish Bicycle Playing Card Stock in a Branded Bicycle Card Box! 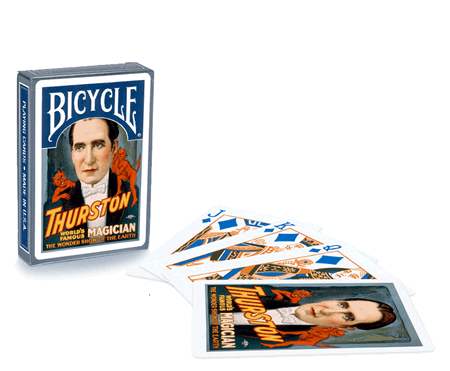 The world-renowned Bicycle playing card brand has been in continuous production since 1885 – Bicycle Decks are among the finest cards you'll find anywhere. Your design is lithographically printed on both the faces and backs of the Bicycle Playing Cards. Each deck comes nicely packaged in a Customized Bicycle Playing Card Box, which incorporates the iconic "Bicycle" brand logo. 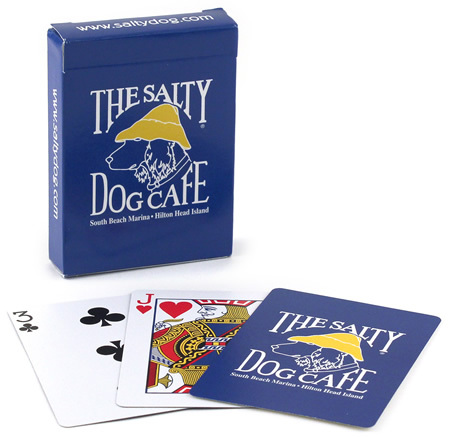 Poker Size: 2.5" x 3.5"
Regular production time for Custom Bicycle Branded Playing Cards is five to six weeks. Looking for Custom Bicycle Stock Playing Cards with a 1,000 Deck Minimum? 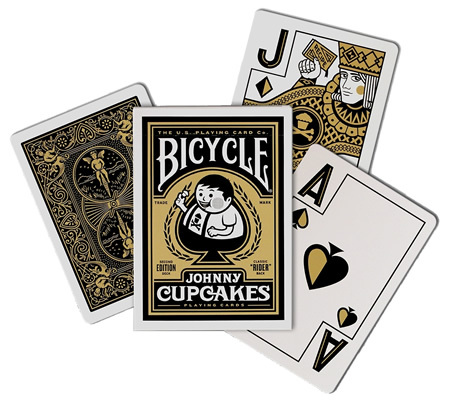 Visit our Custom Bicycle Playing Cards page for customized playing cards printed on genuine Bicycle Card Stock with standard Arrco or custom faces! © 2016 Kardwell International, Inc. The contents of this web site are the sole property of Kardwell International. No part of this web site may be copied or used for any commercial purpose without the written permission of Kardwell International.